Water is the healthiest thing that you can put in your body (unless you’re drowning, and then it’s probably oxygen). The sad truth is that many people today are not drinking nearly enough water to make their body live up to its potential. Drinking more water is a great way to help an individual live a more fulfilling lifestyle, and to be a generally healthier, happier person. Here are several reasons why. One large contributor to people getting overweight is when they eat food when they actually don’t need it. One large reason for this is that they think they are hungry when their body is actually craving water, instead. 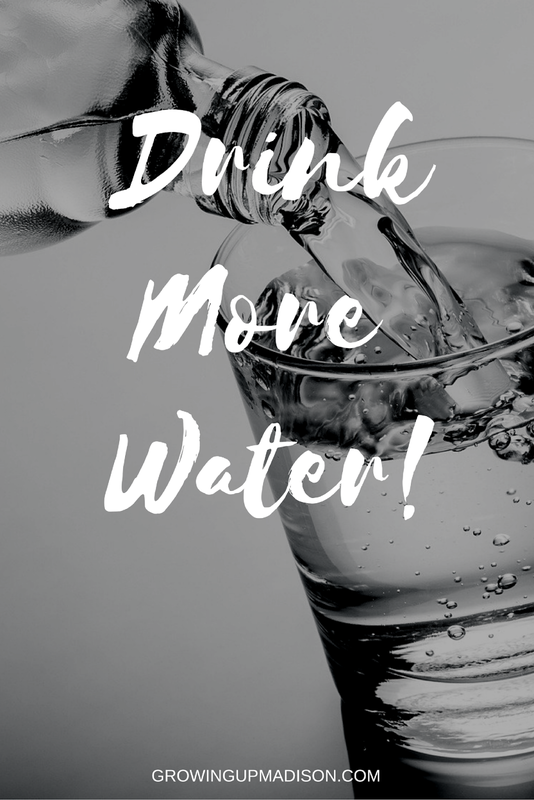 Drinking more water means you will consume less extra calories, and instead focus on the food that will actually be planned out, and probably healthier for you. Drinking more water also improves your circulation, which helps you burn extra calories, as well. Your brain needs water to function properly. Drinking water helps clear up your mind and use it to a higher capacity. When you are dehydrated, your mental strength will begin to deteriorate, and even cause immense headaches that are cries from your body to drink more water. Keeping well hydrated will keep you sharp and alert. 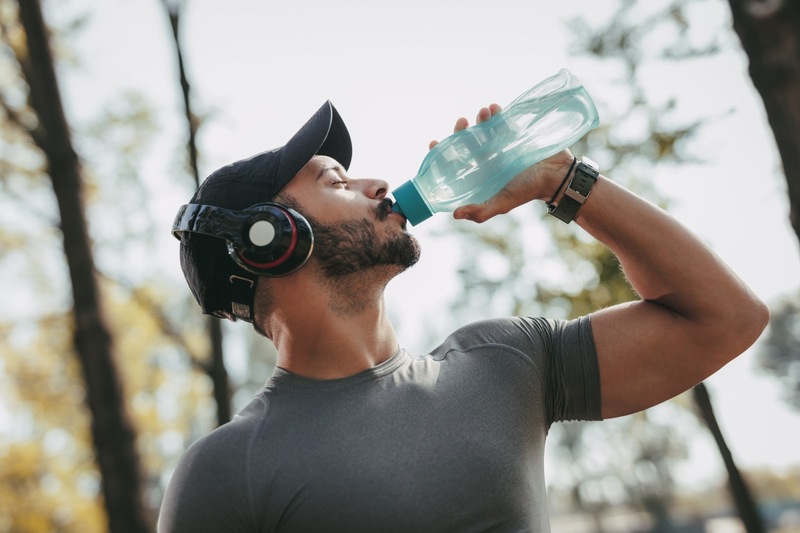 Being dehydrated means that your brain will not function the way it is supposed to, and your mood is most likely going to suffer as a result of this. Drinking more water will help improve your mood and make you feel less sick and slow throughout the day. This will lead a person to live a much happier life, in general, and is a terrific reason, on its own, to start drinking more water. At its most basic, water is one of the number one contributors to the fact that we have life on Earth. Water is a universal building block for life, as it cannot exist without it. This should give you pride every time you take a sip of succulent H2O. However, it’s not like you have much of a choice, as you would die without drinking water. Sadly, many people stay hydrated through inefficient methods, and could stand to drink more water in its purest form. Water is an important part of moving toxins through your body and getting rid of them. This is why your urine will be clearer, the more water that you drink. Water dissipates the waste in your body and helps you flush it out at a quicker pace. The result of drinking less water is that this waste will sit in your bladder and colon for a longer period of time. For this reason, it has been shown that drinking more water can cut the risk for cancer of these organs nearly in half! We may not exactly have the perfect cure for cancer, yet, but water has somewhat been a cure for as long as humans have been around. When we become dehydrated, various parts of our body begin to operate inefficiently, which can put us in great pain. The cartilage in our joints will harden up and stiffen, which causes pain. Our muscles, which are almost entirely made of water, will begin to cramp and ache at a frequent rate without it, which causes pain. And headaches and migraines will begin to swarm your mind, which causes pain! You get the idea. Failing to drink enough water is a surefire way to substitute comfort that you should take for granted for a world of hurt. Drinking water, because of this, is actually a great way to stop this pain before it happens, making it a terrific painkiller. Although the amount of water that we need is highly dependent on our body weight, 8 cups a day is never a bad idea. If you are living a very active lifestyle, it should be a lot more than this. Because of this importance, you should find ways to keep up on your H2O intake. Finding food that has plenty of water in it, such as fruits and vegetables, is a great way to help this (it also helps you intake other vital nutrients). Another great strategy is to have a fun water bottle that makes drinking water more of an exciting activity. Let's discuss: Are you drinking enough water? Thanks for sharing - off to fill my water bottle! Oh I'm with you right there too. I don't drink as much as I should and that's not good at all. That's a lot of water! I don't drink quite that much but maybe I need to. There are endless reasons to be sure that we drink enough water - it is so important for our overall health and wellness. Being dehydrated is no fun at all!! I am a lover of sparkling water and I drink it all day long. I find it easier for me to down that than water, although I do drink water as well, especially if I am out and about. Water still quenches my thirst better than anything else! It is important and I love sparkling water as well but I still prefer to drink regular water. It does help with my skin but lately I haven't been drinking enough of it, unfortunately. This cannot be said enough! Water is the foundation of our entire body, and we need to be fully hydrated to keep them working properly. That is very true but so much people don't drink enough. I know that I don't. Water is one of those things that is so easy to forget but so important to do! I try to make sure my kids always have easy access to water!! That's the one thing a lot of people tend to forget during the day. Seems like coffee has taken over. So true! The health benefits of water and numerous and you can be dehydrated and not even know it. I keep a big container of water with me all day and drink it. Adding lemon helps to change things up. That's a great way to change it up indeed. You can even add other slices of fruits to change it up too. I really need to drink more water. I have never been good about it. I don't drink as much as I should either, so I guess we're in the same boat. You can add just a bit of flavor if that's what is stopping you getting enough. I'm not.. but I was last week because it really did help with my cold. Also, I think most things can be helped by drinking tons of water for a long term period. I really do! I'm not saying it will solve world peace, but so many smaller problems can be helped. I never feel as if I drink enough water, so I could stand to monitor my intake a bit more closely. I know my body is at its best when I am well hydrated. That is true, your body is better when you're well hydrated. I have been doing pretty good this year. I have been eating healthier and gave up drinking diet soda. I can see a big difference in my skin from switching to water. That is awesome! I drink an occasional soda but not too much of it. My health isn't the best it can be but it's not too bad. Water does help though. I'm probably still not drinking enough water. I don't know why I always forget to drink enough each day. I need to make it a habit. You should make it a habit. I am just the same way you are as well, I don't remember to drink enough of it. The only thing I drink is plain seltzer water -no flavor no sodium/ and it has changed everything. It curbs my appetite and it just makes me feel better. I can't imagine drinking anything else! I've heard great things about drinking seltzer water, but I still can't get over the taste. This is a great reminder! Love that you mentioned all the benefits of drinking enough water everyday! Thank you Toni for stopping by and adding your input. My husband and I only drink water and milk! We don't really like juice and we don't drink alcohol. It really does help you sleep better at night and it really clears up your skin. That is great! I do drink an occasional glass of wine and I do drink juice. Not so sure I can take both of them out. I'm all about drinking water as I'm 9 months pregnant! It prevent Braxton Hicks and makes my swelling go down! I guess that's also one of the benefits. Here's to a happy bouncing baby soon, if you haven't already given birth. That's one way to drink it, as long as you're drinking water. I know I'm not drinking enough water. Coffee and tea don't count, but they're usually how I attempt to stay hydrated. You're right, coffee and tea really doesn't count, maybe you can add a bit more water in there. Water is so important! I need to make sure I am drinking enough. It is important and you should make sure that you are. I am trying to lose weight so this is a good reminder to drink more water to keep the food cravings away. It does help with that and as someone who's trying to lose weight herself, I need to drink more myself. I know drinking water is one of the most common sense things to do but I still need to drink it way more than I am doing. I am doing better by choosing alkaline water now and it taste so much more fresher! I've heard a lot about alkaline water, but really, what's the benefits? There are days I drink plenty of water and others where I don't get enough. I need to find more balance in my intake. Balance is always good and it's always better to have too much than too little. I really need to drink more water. I was dehydrated when I went to the doctor last time. Oh that's not good. You do need to stay hydrated. I have been trying to drink more water lately and I've noticed that I feel more awake with the more water I drink too. It's so important to remember to drink water throughout the day! Water sure does a body good, quite like milk. Great post!! Drinking lots of water everyday is soooo important for all the reasons you listed and more! Yes it is very important. Thanks for stopping by. I definitely don't drink enough water throughout the day. I have tried to put more into my daily routine but I never stick with it. I really need to. I've also tried drinking enough but I don't drink as much as I need to. Its the effort you make though. I think most people need to drink more and I have to drink more for myself too. I literally tell myself this everyday. I now walk around with a water bottle so I can remember to stay hydrated! That's a great way for you remember to have your water. As long as you're drinking. So true, it's so important to get enough water. Not many people and they don't realize how it affects so many parts of your life. You're right. Not many people drink enough, and I have to say that I'm one of them. I've never been a big fan of water but I know how good it is for me so I'm trying to drink more of it. It's crucial to stay hydrated. It is crucial to stay hydrated and water is the best way to do so. I totally agree! Drinking water is vital to your body. When I don't drink enough I really notice it in my skin. It can show in your skin. That's one of the ways I find out when I'm not drinking enough. Yes!!! Drink more water! Something that I definitely tell myself every single day. Water is so important for many reason, thank you for this reminder! You're very welcome Karina and I need to remind myself of that too. Oh that is great! I wish I could drink a gallon a day but I don't unfortunately. I need too!